Best Musical Moments Of 2010: Tim Munro's Barefoot Fiddler : Deceptive Cadence The eighth blackbird flutist was floored -- and inspired -- after hearing the fiery violinist Patricia Kopatchinskaja perform with the Australian Chamber Orchestra. 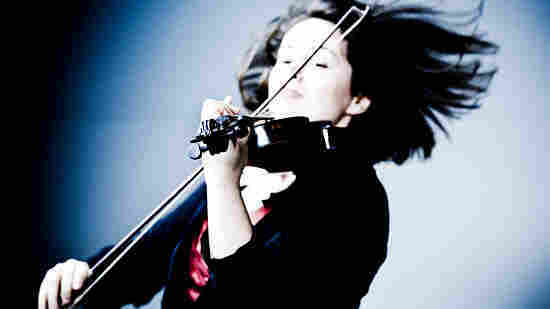 Her Vivaldi was "thrilling and savage." This week we're asking prominent musicians — and you, too — to tell us a story about the best musical moment of 2010. Tim Munro was enraptured with violinist Patricia Kopanchiskaja's energetic style. I've been a card-carrying devotee of the Australian Chamber Orchestra since I first saw them at age 18, led by their music director, concertmaster and surfer-in-residence, Richard Tognetti (yes, he is a good surfer). This conductorless, all-standing band takes a go-for-the-jugular approach that drags the blood, sweat, and tears out of every phrase of music it plays, whether it is a Vivaldi concerto, a Stravinsky ballet or a Beethoven string quartet. 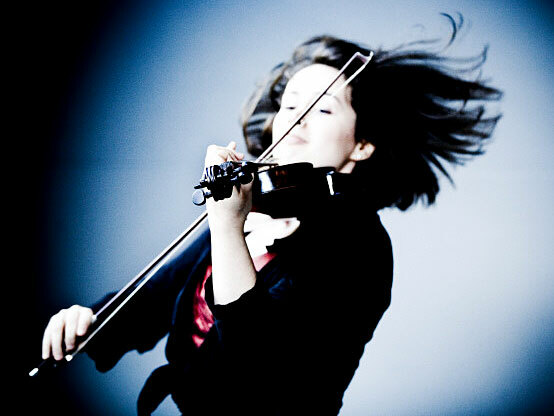 So I was expecting great things from the ACO concert I heard this past July in my hometown of Brisbane, Australia, with a guest concertmaster I'd not heard of -- the Moldovan violinist Patricia Kopatchinskaja. The daughter of folk fiddlers, this small, fiery, barefoot woman led the players with a jerky, extroverted physicality that perfectly matched her approach to the music. She took each piece by the scruff of the neck, and shook it until it begged to be released, drawing playing of a high-pitched, nearly blood-curdling intensity that was both uncomfortable and totally compelling. In her hands, Vivaldi was thrilling and savage, Schutz had a transfigured, glassy beauty, and Mansurian sobbed with profound sorrow. The ACO string players were clearly having the time of their lives as they attempted to match her every willful bow stroke, every barely audible soft note, every unanticipated hesitation, and the audience seemed thrilled to be along for the ride, cheering and laughing throughout. In an interview on ABC Radio National's Music Show program, Kopatchinskaja said that all music should be performed with the intention of folk music, which is "playing from heart to heart for people, dancing, laughing, being sad, and crying about men who died in war." Her website is as quirky as her playing. It includes a page of bad reviews, and has a collection of oddball thoughts on composers she loves. As for critics, she says, "If some are shocked we do not apologize." I found this concert totally engrossing and endlessly inspiring. Kopatchinskaja is essentially a new music specialist (old music is a "hobby"), and brings the emotional extremity, searching intensity, and the wildly diverse influences of contemporary classical music to everything she touches. She engages her audience totally, inviting them into her fabulous musical world with a stage presence that is entirely devoid of artifice or pretense. And she's having the bloody time of her life on stage, sharing her crazy, manic love for this music. Tim Munro is a flutist who plays with the ensemble eighth blackbird. Please tell us about your favorite music moment from 2010 in the comments section.